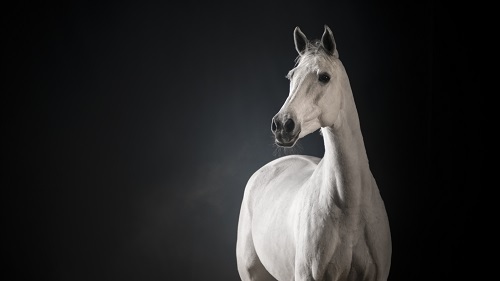 A significant proportion of equine vets will, at some point in their career, end up unconscious or hospitalised following an injury directly related to their work, the journal Equine Veterinary Education has just published research to back this up. To help address this serious issue we’re launching Don’t Break Your Vet week to encourage horse owners to help reduce the risks that vets sometimes face. Running from the Thursday 1 February, Don’t Break Your Vet week comprises of a series of seven short video tutorials featuring vet and equine behaviourist Gemma Pearson. The videos provide quick and simple techniques that will help horse owners prepare their horses to be quiet, relaxed and safe for veterinary, and other procedures, including clipping and giving oral medication such as wormers. You can watch and share all the videos from our YouTube channel. The paper has highlighted that an equine vet may expect to sustain between seven and eight work-related injuries that impede them from practicing, during a 30-year working life. This is a far higher figure than other civilian occupations such as the construction industry, prison service and the fire brigade. Bruising, fracture and laceration to the leg or the head were the most common injuries reported with the main cause being a kick with a hind limb. Nearly a quarter of these reported injuries required hospital admission and 7% resulted in loss of consciousness. We’ve made the article free to access for 12 weeks. Read it here. Make sure you follow us on Facebook or Twitter to get full coverage of Don’t Break Your Vet week.